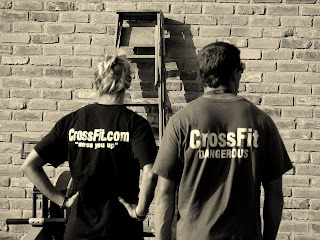 This awesome photo was taken at Crossfit Centrals first Fight Gone Bad Challenge in 2006. I was super jazzed up to today to get an invite to speak at the Crossfit Affiliate Gathering in Miami FL! The topic is community! Since Crossfit Central is the best community in the world this should be easy! Awesome JT. They went to the right guy to speak on that topic!